A 27-foot-long platypus and 25-foot-long caterpillar are just some of the outrageous people-powered creatures that have participated in Baltimore’s annual Kinetic Sculpture Race. The park also encourages dress-up for its Great Halloween Lantern Parade and for BARCStoberfest, with contests for best pet costume and pet trick. Dogs (and their owners) like to loll about on a gently sloping hill near the restored 1890 Pagoda. 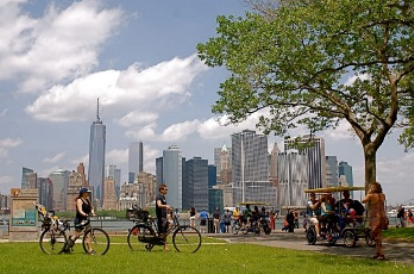 Coolest Time to Visit: May, when you can catch both the wacky Kinetic Sculpture Race and the annual Bike Jam, a daylong cycling festival for watching races and participating in public rides, including a 12-mile waterfront route. The concert lineup here has included Sir Paul McCartney, the Eagles, and the Dave Matthews Band—and those are just the rock legends. Jazz takes over for the annual May festival, and music also plays a part in the Atlanta Dogwood Festival, which celebrates its 75th anniversary in 2011 with more than 70 sets (from a Native American flute performer to a Turkish folk dance group). Groundbreaking on a 53-acre extension started in 2008 and has already produced a bocce court, an aquatic center with lap lanes, and a children’s splashing area. Coolest Time to Visit: Memorial Day Weekend is the high point of the annual Atlanta Jazz Festival, which has seen legends like Miles Davis and Dizzy Gillespie perform. There’s a sport for everyone. Choose among 13 tennis courts, a soccer field, a running track, a high-jump area, and golf courses: an 18-hole Frisbee golf course and a traditional 4,600-yard course on rolling terrain with an indoor practice facility. Of course, you can also take it slow. 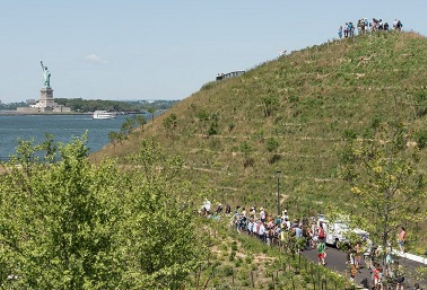 Stroll by rare miniature orchids and primitive tree ferns at Phipps Conservatory or plop with a blanket on Flagstaff Hill, where movies are screened on summer evenings. Coolest Time to Visit: During the free Pittsburgh Vintage Grand Prix (July 15–24, 2011). Some 200,000 visitors cheer on 150 sports cars—including prewar and MG T Series vehicles—as they navigate 23 turns (not to mention hay bales) around the park’s Paddock Drive. 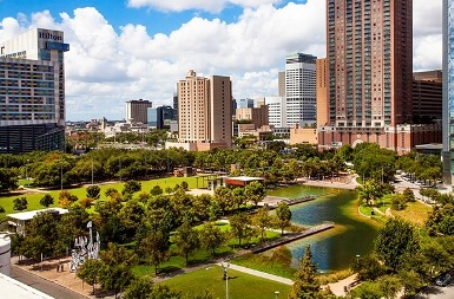 Concrete parking lots were torn up to make way for this 12-acre downtown paradise of lawns, a man-made lake, and cool features like 14-foot-high arcing water jets. Dog jumping and other wacky competitions, free classes, and fine dining at James Beard award–winning chef Robert Del Grande’s restaurants have helped lure some three million visitors since the opening in 2008. It’s a transformation that would make singer-songwriter Joni Mitchell proud. 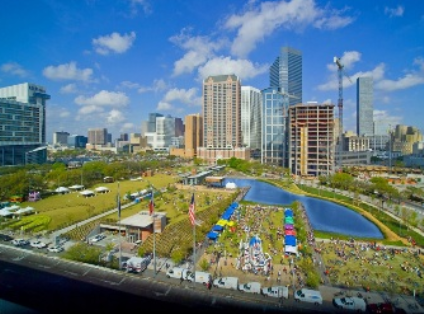 Coolest Time to Visit: During Houston’s annual Restaurant Week (actually a month, August 1–31, 2011), whose participants include Del Grande’s park restaurant, The Grove. Its elegant, glass-walled dining room overlooks century-old live oak trees. A one-stop destination for many of St. Louis’s finest cultural institutions: the McDonnell Planetarium; the Cass Gilbert–designed Saint Louis Art Museum, with paintings by mid-20th-century masters like Andy Warhol and a 56-foot-tall steel tree by contemporary artist Roxy Paine; and the Muny, the country’s oldest outdoor musical theater. With 500 more acres than Central Park, it has plenty of room left for picnic areas, including covered pavilions with barbecue pits. Coolest Time to Visit: September, when dozens of colorful hot-air balloons take to the sky, originating from Central Field, for the annual Great Forest Park Balloon Race. This iconic park—where the Summer of Love kicked off in 1967 and dreadlocked drummers still gather in circles—has gotten at least some updates. The de Young Museum reopened with a Herzog & de Meuron–designed building in 2005 that mounts blockbuster exhibits like a collection of 100-plus Picasso works on loan from Paris. The California Academy of Sciences, whose eco-friendly Renzo Piano structure debuted in 2008, has a 1.7 million plant “living” roof and restaurants by star chefs Charles Phan and Loretta Keller. Coolest Time to Visit: Sundays, when John F. Kennedy Drive is closed to cars and the outdoor swing-dance party, Lindy in the Park, takes place (11 a.m.–2 p.m., with free beginner lessons at noon). 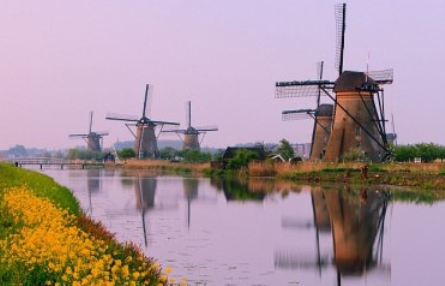 AN IDEAL PLACE TO VISIT AND LEARN ABOUT THE WINDMILLS IN ZAANSE SCHANS ANCIENT VILLAGE, LOCATED 10 MINUTES FROM THE CAPITAL AMSTERDAM BY TRAIN. Located on the outskirts of the capital Amsterdam with about 10 minutes by train from central station, the village has a total of 13 windmills, of which 6 windmills along the river bank stock Zaanse dreaming.These windmills here have reached the age of 300 years, was built in the seventeenth century. Zaanse Schans village not only attract tourists by the windmill, but also by the landscape, in addition to the windmill, visitors can learn about the traditional architecture of the Netherlands, through old houses built in the last century. Inside the windmill is the detailed mechanical operation of wind power switch provides useful applications. Initially, these windmills were used to grind rice and other agricultural products. Later, they were used to pump water and this is used to produce electricity. Because the area inside the village not too broad, you absolutely can walk outside and visiting the workshop area, windmills and natural scenery here. If you want, you can rent a bike, the primary means to go back in the village. You easily caught bike everywhere they go very fast so you always have to pay attention to travel on their way if do not want to be hitting. Some key points to visit here is a small wooden houses, windmills and craft making workshops. The bungalows here people still live normal. The windmill you can go inside to see firsthand how it works.However want to visit inside you have to spend a few euros. Workshop crafted handmade shoes are pretty interesting place. You can witness the process of the workmen made the wooden shoe from the initial raw logs. These colorful wooden shoes are sold at factory for tourists buy as souvenirs. Getting to the village of Zaanse Schans Windmills simplest is by boat. It only takes about 20 minutes away from the main station of Amsterdam terminal fare Zaandijk with only a few Euros. After the next station, you just walk as directed for 15-20 minutes to get the village. Also you can take bus 391 from the main station of Amsterdam, but it will take time and are not comfortable with the ship.